Let Me Introduce You To…Rex Williams of Destination Truth! Wanted: Licensed and experienced medic for a traveling adventure show. Must have firm grasp of human anatomy, trauma medicine, and poisons of all kinds. Must be able to scuba dive, repel down mountains, and climb the Great Wall of China. Qualified candidates for the position must not be afraid of monsters. Ha! That’s what I always imagined Rex Williams, of TV’s Destination Truth, read when he looked at the want ad to become the show’s globetrotting medic. Oh, and I know, Rex Williams, my featured guest today isn’t a writer like I normally have on my blog…but he’s definitely a very cool guy you should become familiar with and his TV show is one that you should definitely watch every chance you get. As a matter of fact, it’s my FAVORITE TV show…and the one that inspired my series of novels The ENIGMA Directive (Primal Thirst and Sirens’ Song). But wait! Don’t have a clue what Destination Truth is? Never seen it before? Oh, you poor souls! You’re missing out on so much fun. DT is a reality show airing on the SyFy Channel featuring adventurer Josh Gates and his team of researchers/investigators as they travel the world searching for the truth behind the myths and legends of various cultures. 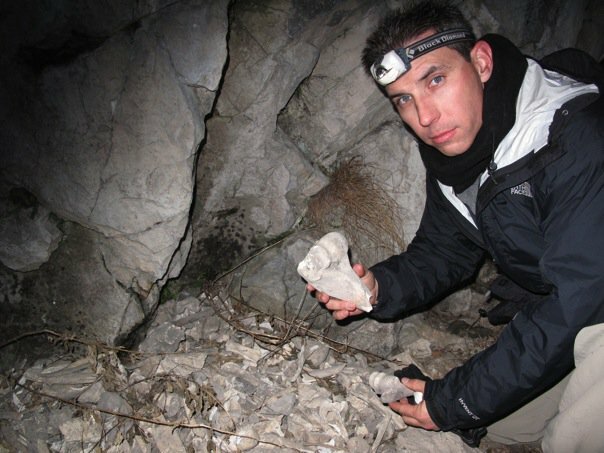 The majority of the show features Team Truth investigating the world’s cryptids (animals and monsters that may exist, but have yet to be officially discovered and classified). Occasionally, they visit some of the most eerie places the world has to offer in search of ghosts (Chernobyl, anyone?). 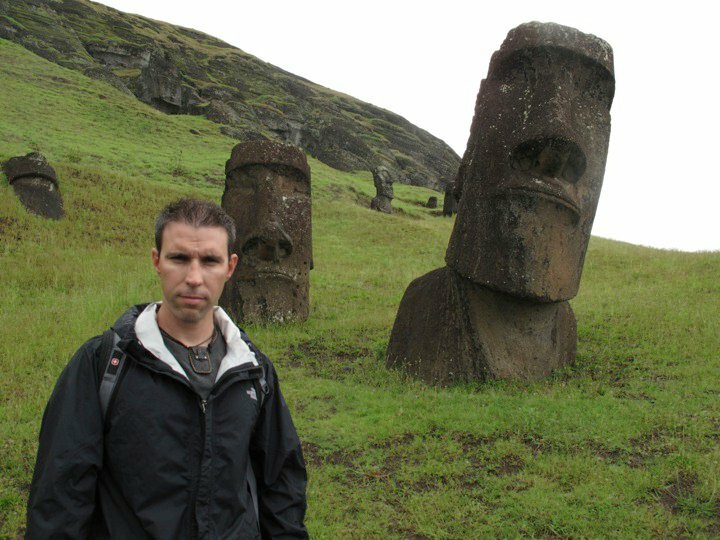 And sometimes, they hunt for things that defy classification…the Icelandic Elves (one of my favorite investigations), Easter Island, and the Bermuda Triangle are some of these types of investigations. But these monster hunts are not for the faint of heart! 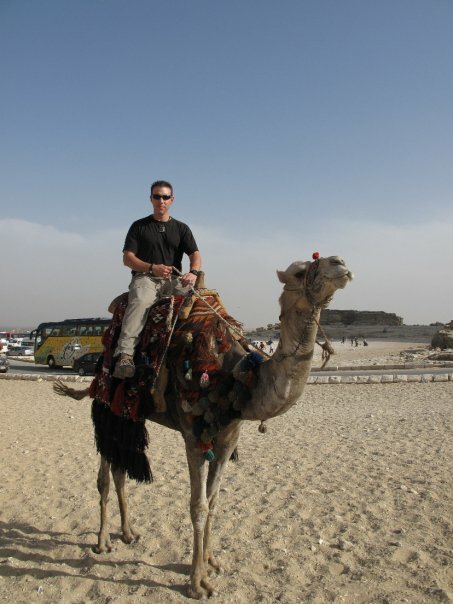 The team not only investigates some of the most dangerous monsters and ghosts the world has ever known, they do it in the most dangerous settings imaginable: the deserts of Egypt, the lion-infested savannahs of Africa, and the ancient precipices of the Himalayas. You want rugged terrain? The DT Team has seen it all. And have seen their fair share of scrapes, bruises, illness, insect bites, and even a possible clawing of some unseen entity lurking within a Haunted forest. Thank goodness they have Rex Williams, the team’s intrepid medic and paranormal investigator. His skill as a medic has come in handy for the investigators on the show, but his skill as an investigator itself is impressive as well. Not to mention, Rex is a really funny guy! But don’t take my word for it. Watch this season of DT and find out for yourself. For a better idea of what the show is like, check out this scene from one of the CREEPIEST Destination Truth episodes…THE ISLAND OF THE DOLLS!!! 1) For those who don’t know, describe in your own words what Destination Truth is all about? Who would this show appeal to? 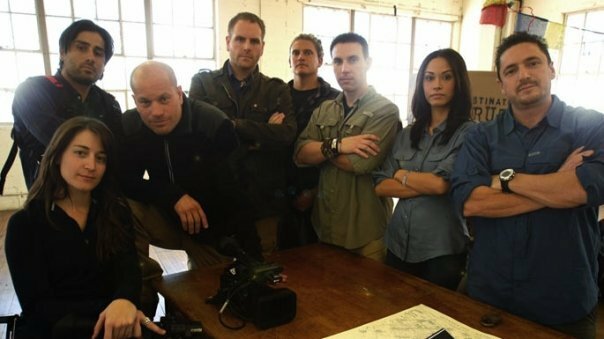 Destination Truth is a travel/adventure show that follows the host, Josh Gates, and his Team of adventurers as they investigate the possible existence of mysterious creatures and hauntings around the world. 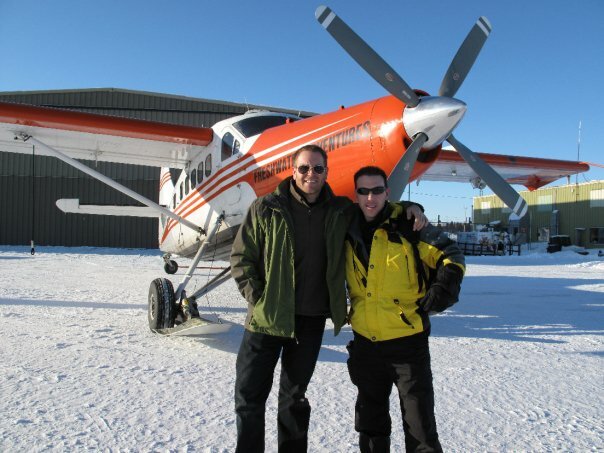 The show incorporates humor into the journey while the crew search for clues and information from eyewitnesses and experts. The goal of the show isn’t necessarily to prove the existence of ghosts or monsters but to gather as much data possible to allow the viewer to make their own conclusion. Its also about bringing the audience along for the ride. This show should appeal to anyone who loves to travel or interested in the paranormal. Warning: Must have a sense of humor. 2) Now, you’re the medic on the show. Most TV shows typically don’t have to hire their own medic. What makes Destination Truth so different in that regards? Care to share any injuries, illnesses, etc. you’ve had to deal with in an investigation? Well, Destination Truth isn’t like most shows. In fact, that’s partly what makes DT so special. Our show doesn’t travel with a large production crew like other shows. We are a lean crew of 8 team members and each person wears many hats during the film trek. For example, take my position. I am the team “medic” but my role involves much more. I am also an investigator. Everyone on the team is responsible for care and movement of gear, record keeping, the set-up and break-down of equipment during an investigation, team safety, and making a great TV show. It is much easier to get a smaller group of people to some of these distant locations. Especially since we are typically required to hike over rough terrain, rappel down cliffs, kayak or raft through treacherous waters, explore caverns, or SCUBA dive just to get there. Luckily, we haven’t had any critical injuries or illnesses during the show. In Season 3.0, one of our cameramen, Gabe fell off his horse in the Andes mountains of Peru and injured his knee. He also stepped onto a patch of sea urchins in Season 3.5 and I had to cut the spines out of his feet. Also, in Season 3.0 our other cameraman, Evan was tossed through the air in Romania during our investigation of a purported haunted forest. Evan sustained deep cuts in his arm that resembles claw marks. 3) You guys have hunted lots of cryptids over the years. Of the cryptids you have personally investigated on the show, which ones, from the evidence and your own experiences, do you believe is the most probable that it exists? Why do you think that? The Yeti without a doubt. We hiked deep into the Himalayas of Bhutan in search of this elusive beast. What we came back with was remarkable. We found a hair sample during our two-night investigation and brought it back with us to the States to be analyzed. A DNA sample was taken from the hair and the results were fantastic… an unknown-type primate. This means that out of all the DNA cataloged in the database, there were no matching primates. There are currently 634 primate species known to man. So the significance of this finding is incredible. 4) What was your favorite country/location to investigate? Why? 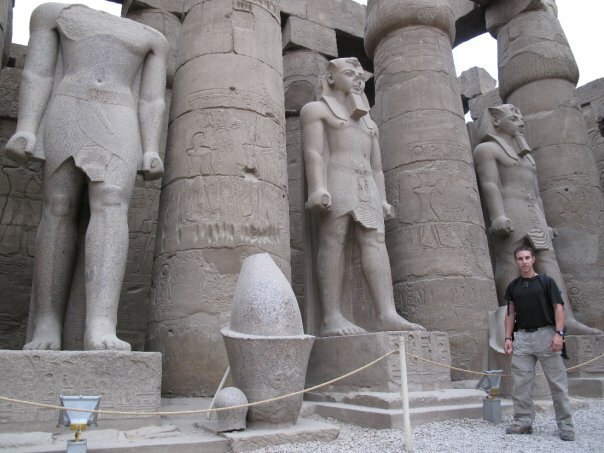 Egypt was my absolute favorite country to investigate. Although, Bhutan is a close second place because of its sheer beauty. Egypt has so much history and mystery. Exploring the tombs of ancient Kings was like stepping backward in time. I recall gazing in amazement over the mummies in the Egyptian Museum of Antiquities in Cairo. Exodus came to mind. I knew at that moment that I was surrounded by artifacts as old as, or older than, the Bible itself. Another moment I will never forget.. standing in the shadow of the Pyramid of Giza (also called the Pyramid of Khufu and the Pyramid of Cheops). However, nothing compared to sharing the darkness of King Tutankhamun’s tomb with the dead Pharaoh himself. I sat alone at one point, in the middle of the night, inches away from his mummified corpse, and locked inside his tomb. Can we say nightmares anyone? 5) You guys have had a lot of harrowing experiences over the years. Which cases stand out as the scariest or worrisome experiences of your time on the show? Explain. I think the majority of the group can agree. The investigation into the spirits of Chernobyl was the scariest by far. I mean, if the spirits didn’t get us the deadly radiation might have. Radiation is a silent killer. You can’t see it, smell it, hear it, taste it, or feel it. Well, you can feel it if its a large enough dose. But if you feel it.. you will be dead very soon. The safety of the crew was critical. So we managed to obtain radiation suits which hindered our perception of the surroundings. The respirator masks made it difficult to see at night. This made our job even more dangerous. It was imperative that every team member carried a radiation exposure monitor. We also had a Geiger Counter to monitor any sudden changes in radiation fields. This location provided a difficult challenge to the Team… perform a thorough investigation.. but don’t end up glowing in the dark. 6) Recently, you guys have been doing a lot of paranormal investigations along with your cryptid investigations. Which do you personally prefer to investigate? Why? 7) Have you ever seen a cryptid in real life? A ghost? Any paranormal experiences you’d like to share from outside of the show? I was a young boy, around 13 or 14 years old, when I experienced something terrifying in the forest. My parents would take me to the Sierra Nevada mountains of California every summer for vacation. On one particular morning I got up and stepped outside of our old rustic cabin in the woods. I looked up, squinting my eyes as the sunlight was showing brightly through the trees. The tall Pine trees were casting shadows and as I looked down something caught my eye. I saw a dark figure standing there about 75 yards away in the dark shadows. It was tall with long arms like an ape and built like a man. But I knew this was no human. Nor was it a bear. I had seen many bears over the years. I stood paralyzed with fear for a few moments, not taking a breath, and feeling my heart beating hard in my chest. It was though this mysterious figure and I were frozen, staring at each other. I quickly ran back inside the old cabin, not wanting to look back, fearing I would feel a large hand grab me and pull me into the forest. I never spoke a word of this to my parents. 8) Can you share any of the places or creatures we can expect to see investigations of in this season of DT? Expect some great locations such as the jungles of Panama and Thailand, the mountains of Argentina, the deserts and wilderness of southwestern Africa, and the frozen wonders of Antarctica. Of course, our new season opens with an investigation of the banshee in Ireland on March 17th 2011 which will be our first ever LIVE investigation. What better way to spend your St. Patty’s Day? So grab a Pint, and get into the action. Thanks, Rex, for a great interview! And good luck to you as you prepare for the DT Live show on Tuesday, March 17. Be safe and God bless! And for you guys reading this blog post…I highly suggest checking out this week’s season premiere of Destination Truth (this Thursday night starting at 7 PM EST). It will be a bit different in that it is a LIVE four hour broadcast as the team travels to Ireland to investigate reported sightings of a real banshee of Irish legend. Then, be sure to watch all the episodes airing every TUESDAY (not Thursday. SyFy has moved the show to Tuesdays this season!) night at 9 PM EST on SyFy Channel! You’ll be glad you did.